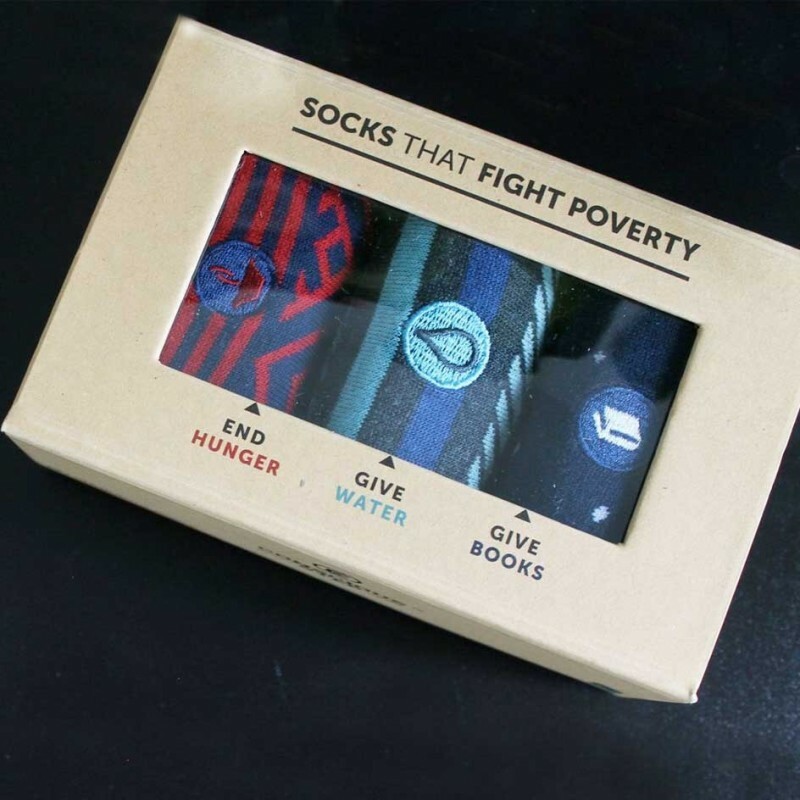 A trio pack of socks that helps fight poverty; ending hunger, giving water and books. 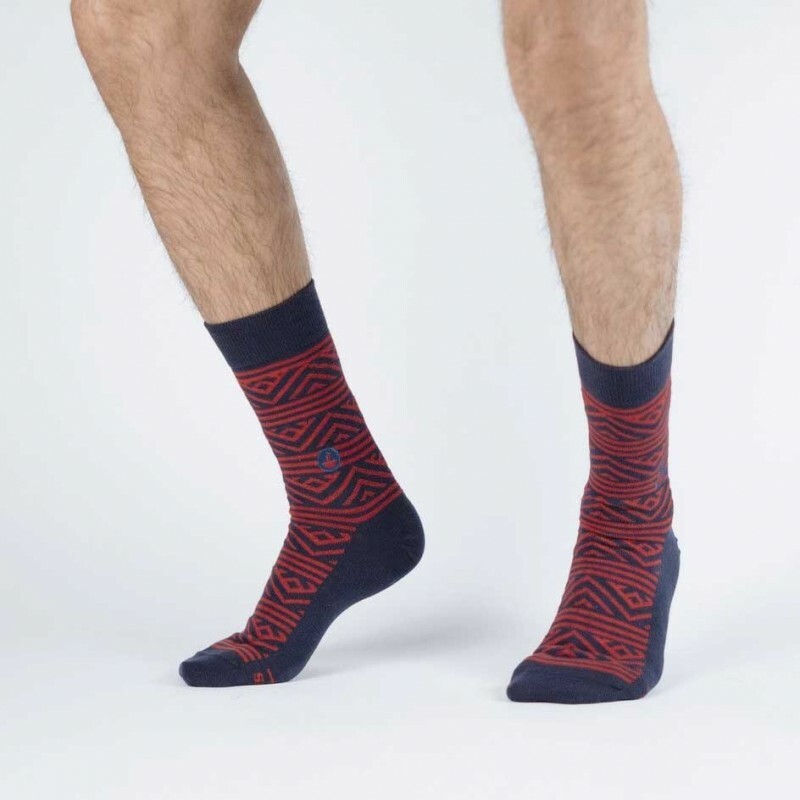 With seamless toes and reinforced heels for comfort and durability, these will quickly become your favourite socks. Made from organic cotton, Fairtrade and GOTS Certified. Sizing in USA standards: Men's 8-13, Women's 9-14. Set of three. Buying this product = 63 Reward points for Members. Your cart will total 63 points = voucher of $3.15. Not a Member? Join at checkout to claim these points. 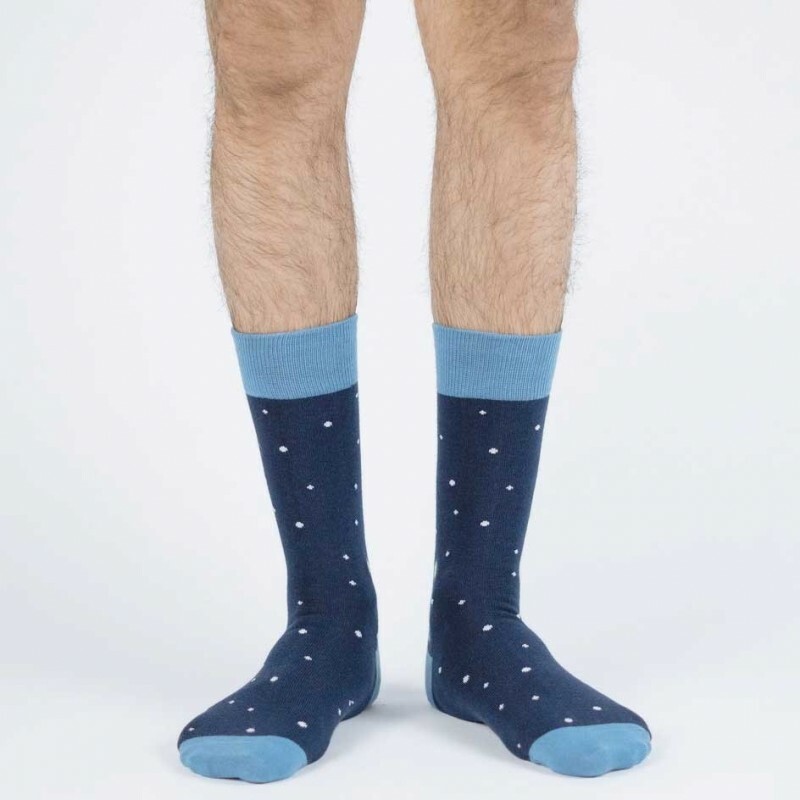 Socks that end hunger - all donations go towards Action Against Hunger: an organisation present in over 45 countries, whose 6,500+ staff deliver food packs to those in need. These socks give three therapeutic food packs to children. 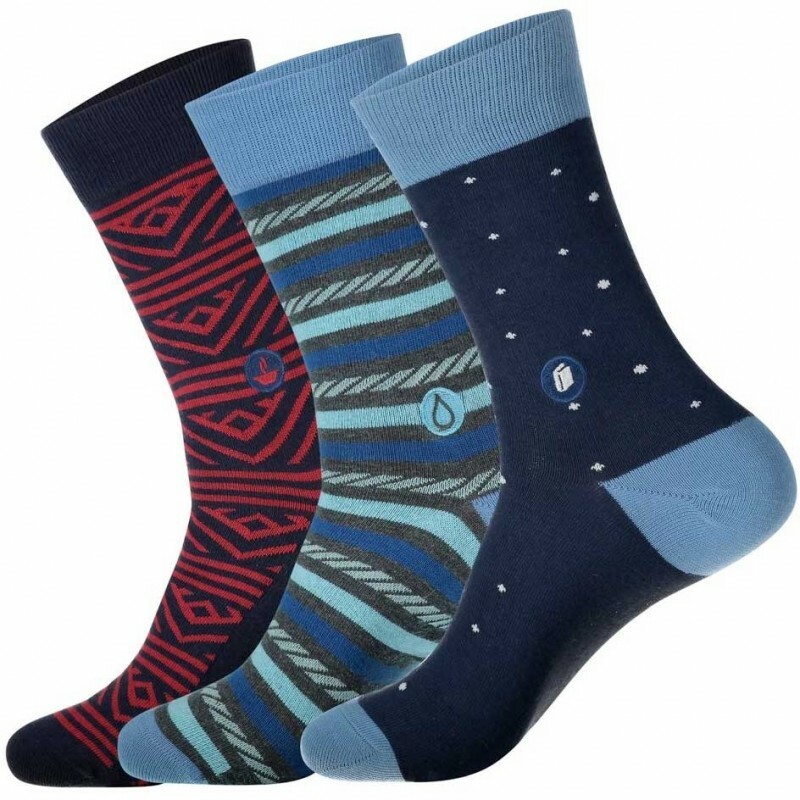 Socks that Give Water - all donations from the purchase of these socks supports Water.org: an organisation that offers small, easily repayable loans so disadvantaged families can install water and sanitation systems in their homes. With one pair of socks, Conscious Step donates enough money to provide safe water for one person for 18 months. Socks that Give Books - all donations from the purchase of these socks supports Room To Read: an organisation focused on literacy, reading and gender equality in education, supporting girls to complete secondary school. 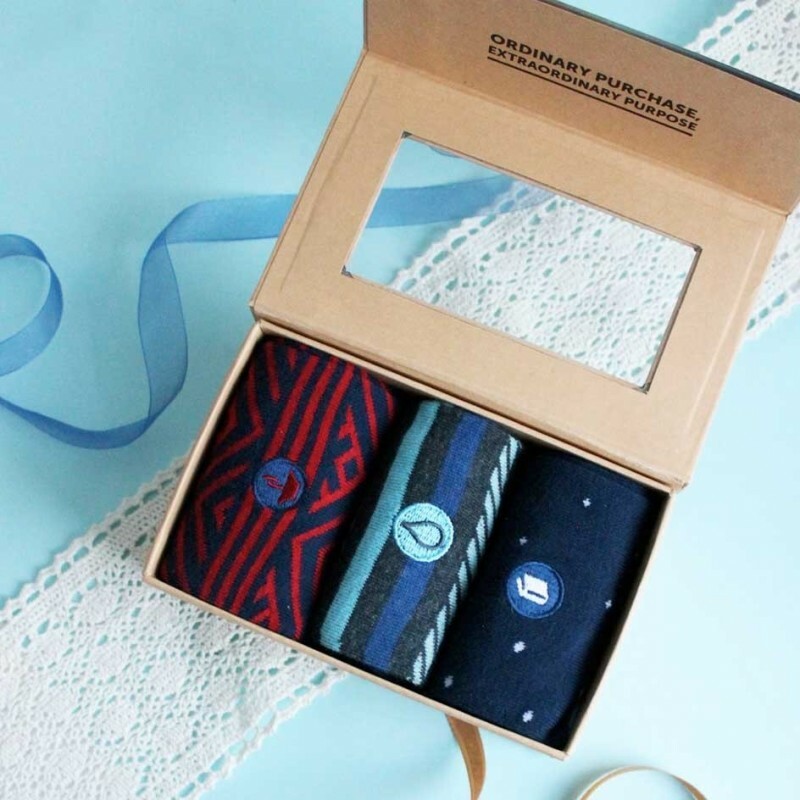 For one pair of socks, Conscious Step donates the equal of 1 book to children in Asia. Sizing in USA standards: Men's 8-13, Women's 9-14.